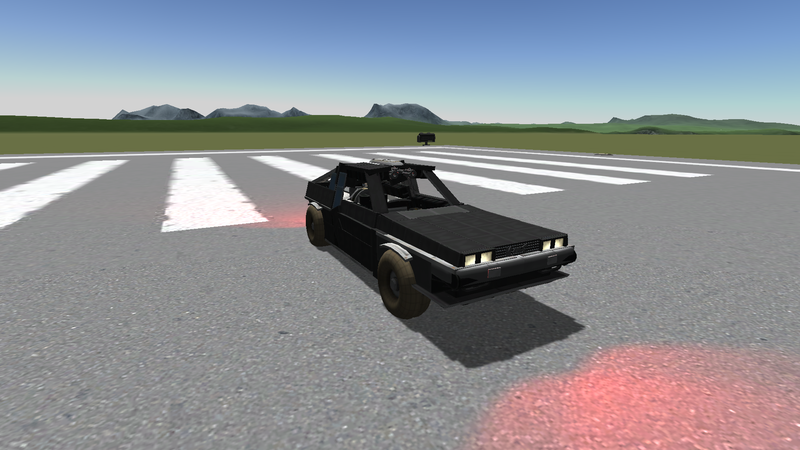 The latest version of my stock DeLorean replica! It isn’t finished, because the sides are not slanted far enough, the headlights are too far up, and the hood isn’t slanted down at the right angle, the rear bumper isn’t finished, and the back window is not yet done either. v0.9 will add those things, and v1.0 will be the final release hopefully.